This time, the former head of the NATO military committee, the retired German general Harald Kuyat, criticized the overseas partners. The military strongly condemned Washington for President Trump’s statement about withdrawing from the INF Treaty. Kuyat presented this step as a betrayal of NATO allies and said that the consequences for all would be very difficult. In this case, the German edition of Bayerischer Rundfunk published a statement by Harold Kuyat where he is in favor of restoring mutual inspections, which ceased in 2001. According to Kuyat, this would contribute to the preservation of the treaty by Russia and the United States. So, the reason for the United States was a new Russian rocket 9M729, violating the provisions of the agreement. President Trump said that America will suspend participation in the INF Treaty for a period of half a year, after which it will finally withdraw from it. The condition for the return of the United States is the complete destruction by Russia of the disputed weapons. This issue was the main topic of the meeting of defense ministers of NATO member countries on February 12. Following the meeting, Secretary General Jens Stoltenberg said that NATO would not respond symmetrically to the aggressive actions of Moscow and “is preparing to live in a world where there will be no more agreement, but there will be more Russian missiles aimed at Europe”. This situation gave reason to recall other differences between the US and its allies in the North Atlantic Alliance. So, about a year ago an agreement was published between the US and NATO, signed during the formation of the alliance. It states that America is not liable for the military protection of the allies and will consider on its own the need to engage the US military in emerging conflicts. This position has caused discontent among the member countries of the alliance, especially among the military-political leadership of Germany. Also worth noting is the pragmatic views of US President Trump on the surrounding reality. He, as an experienced businessman, looks at everything in terms of obtaining possible benefits. 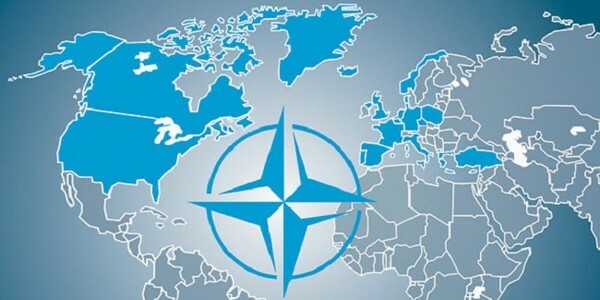 At the same time, he has repeatedly stated that if the United States pays 70% of NATO expenses, then they have the right to dictate their conditions. The American president has repeatedly stated the need to increase the contributions of the member countries of the block to at least 2% of GDP. “The countries we protect should pay for it, and if not, the United States should allow them to protect themselves”; “The cost of staying troops in Europe is enormous. And this money can definitely be spent on something better. Anyway, our allies do not seem to really value our presence.” These phrases clearly define his attitude towards NATO partners.